The ladies of Inkwell Inspirations have grown close over the last few years. With a wide variety of experiences among us, we also have a lot in common. We’re all female writers, of course, but our greatest bond is our faith in Jesus Christ. In a world that preaches tolerance but doesn’t always demonstrate it, the Inkies – with our various differences– are a great example of understanding and acceptance. We don’t attend the same church building, we don’t all belong to the same denomination (or non-denomination), nor do our churches all celebrate the holy time leading up to Easter Sunday in the same way. Our observations throughout Holy Week depend on different things; mainly what we learned growing up, and how the churches we attend mark the week leading up to God’s most precious gift to us – the indescribably wonderful miracle of his son, Jesus Christ. Lent commemorates the forty days Jesus spent in the desert fasting and facing temptation. 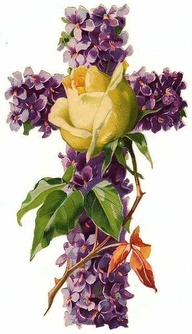 It is commonly spent in fasting and penitence, beginning with Ash Wednesday and ending on different days of the Holy Week – depending on the way one’s denomination calculates the days. 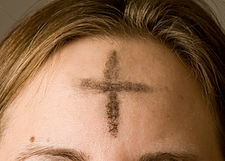 I always knew Ash Wednesday as the day when my Catholic co-workers would leave for a short period of time and come back with a gray cross smudged in the center of their foreheads. Ashes were, of course, a part of mourning in Biblical days. They are symbolic now of shame and sadness over our own sin, and sorrow over the suffering and sacrifice of Jesus. Though it’s not something I grew up with and have never personally experienced, the smudging of ashes has always tugged deeply at my heart. When Moses was called by God to lead the Israelites out of Egypt, Pharaoh grants and then recants their freedom several times. God’s people are told to mark their doors with lamb’s blood to protect them when an angel passes over to claim the life of every firstborn in the land. Passover commemorates God’s promise to free his people from slavery. Jesus rode in to Jerusalem on a donkey and the people celebrated by singing and laying palm fronds along his path, fulfilling one of the many Old Testament prophesies about his coming. The church I grew up in always began the Palm Sunday worship service with the pastor carrying palm fronds to the front of the altar before taking his place at the pulpit. When he retired, the pastor who took his place would occasionally gift us with tiny wooden crosses from Israel. There are times in my adult life when I long to see palm fronds on Palm Sunday. I’d also be thrilled to come across one of those small crosses, and wish I’d taken better care to keep them safe so I’d always have them. 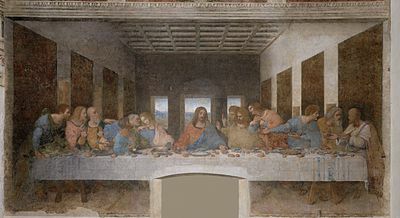 Maundy Thursday sometimes known as Holy Thursday, commemorates the Last Supper with Jesus and his disciples. Good Friday is the day Jesus was crucified. I grew up in a denominational church and have attended a non-denominational church for more than half my life. And still, this day means as much to me as it did the very first time I heard the story of Jesus. That’s a story in itself, but I still can’t read or hear the story without tears welling up in my soul. Here of course, is our blessed miracle, the greatest of all God’s gifts – the resurrection of our Lord and Savior Jesus Christ. In Christ Alone – a beautiful contemporary worship song written by Stuart Townsend and Keith Getty, and made popular by the Newsboys and Phillips, Craig and Dean. Whatever your denomination (or non), however you celebrate Holy Week, may you grow in your faith and be incredibly blessed. I would love to know what any one of these days mean to you, and I’d also love to know of any other special days you celebrate. i was in my twenties before I saw someone who had celebrated Ash Wednesday. I think it is a beautiful act of reverence and now that I work for a Catholic health care company I see many more people who celebrate lent and the whole "season." I have to say sometimes I would like to see a little more of the solemness and majesty of some of these traditions in my church. Growing up we passed out palm fronds on Palm Sunday. I had no idea why, but I loved it because I would use mine to make a tropical island for my Barbies. And then we celebrated Easter of course, usually there was a drama or something of that kind. It was a special Sunday because of the Easter dress and the Easter basket and the shortened service, and I kind of missed the point spiritually even though I recognized it intellectually. I agree, Lisa. Some churches shy away from 'symbolism' that feels like pageantry, but I miss it. Growing up in a Presbyterian church, we celebrated Maundy Thursday - now I rarely hear anything about it. I've probably said this before but I never understood what was Good about Good Friday. It seemed like a pretty bad day to me. I think this is 'symbolic' if you will, of those who understand the gospel message of grace. Now I know how good it was for me! i grew up in a non-denominational church, but my mom grew up Catholic, so all my relatives were Catholic. i think i got my love of liturgy from the times we went to Mass with Grandma. i know she didn't like the fact we were always a half-step behind on the signs of the cross and stuff, but she did appreciate that of all the grandkids - we were the most involved with Church stuff. i still get a kick out of the time i knew we were going to visit Grandma, so i practiced the liturgical stuff so i wouldn't be a step behind during Mass. i went to Mass with Grandma and afterwards she smiled and patted my arm saying "you did so good, dear". it made me happy to see her happy. all that to say, i enjoy how all the different denominations celebrate the Season. it's all very meaningful to me, I guess because of what Christ means to me. thanks for the post. Good morning, Lisa. I totally agree that I wish there was a bit more solemness and majesty in my church, too. Great terms! Though I didn't know what it meant at the time, there were kids in my school who used to go out of class on Ash Wednesday and get the blessing and ashes on their forehead when I was in school. Back then, I don't think it was a media-worthy even to have a priest on the premises to provide this for their church members. DebH, I really like seeing how other denominations practice, too. And I love your grandma story. I can just picture a little girl practicing so she can get praises from grandma. I love it. Thanks for giving me a morning smile. I've always preferred Easter to Christmas, for all kinds of reasons, both spiritual and secular. Funny you mentioned "In Christ Alone." During my prayer time this week the Lord brought up that very hymn/song for me to meditate on. I listened to a couple different versions. Always makes me cry! 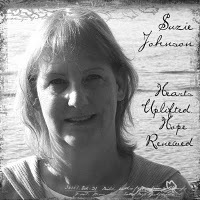 Thank you for this post, Suzie. All our Canadian calendars have always been marked for Ash Wed, but all I knew growing up was that it was for Catholics. I remember the first time I had a personal encounter and that was as an adult when a friend of mine stepped into the bank line beside me. I told her she had a smudge on her forehead. She said, "Oh, that's just the ashes." What? Her explanation was an eye opener, especially when she said she would've worn her sackcloth, 'cept it was in the wash.
As a coin collector, I'd love to be in line to receive a Maundy coin from Queen Elizabeth, but since you have to be poor first, I think I'll take what little money I have and run with it. Apparently the Maundy coins are available on eBay, so there you go. Aw, Niki, sorry it made you cry. It's a beautiful song. Anita, I didn't know there was a Maundy coin. I would wait in line for that, too. I can't help but laugh at the lady's comment of leaving her sack cloth at home in the wash. Lol. Interesting how many of us didn't know about some of these different tthings. Palm Sunday is a special celebration day at our church. We get lots of palm branches for everyone to wave during worship and also offer opportunities for simple congregational dancing. Some years (including this year) we top it off with a dance special. On Good Friday I like to take the family to some sort of special service or a passion play. Easter Sunday is a big family day for us, including church, dinner, and a traditional Lebanese egg cracking game that the whole family participates in. Okay, Dina, I want to know about the Lebanese egg cracking game. Please? Sounds fun! It was a good cry, Suzie! No worries! I know exactly what you mean, Niki. We could all use those once in a while. We have a palm tree. Last year for Palm Sunday I gave it a "shave" and we made crosses from the fronds in my special needs SS class. (If you've never seen how to tie a palm frond into a cross shape, you can find the directions on the Internet.) And then we passed them out during the service. It was great fun and greatly appreciated. CJ! More than any other plant, I want a palm tree. *trying not to be jealous* I do think it's wonderful of you to make crosses from the fronds.